Compared to some horror stories I hear from frazzled mums, we have got off quite lightly so far with the "terrible twos". Elliot is quite happy and laid back and thankfully we haven't had to deal with too many toddler tantrums. That's not to say he is an angel!! 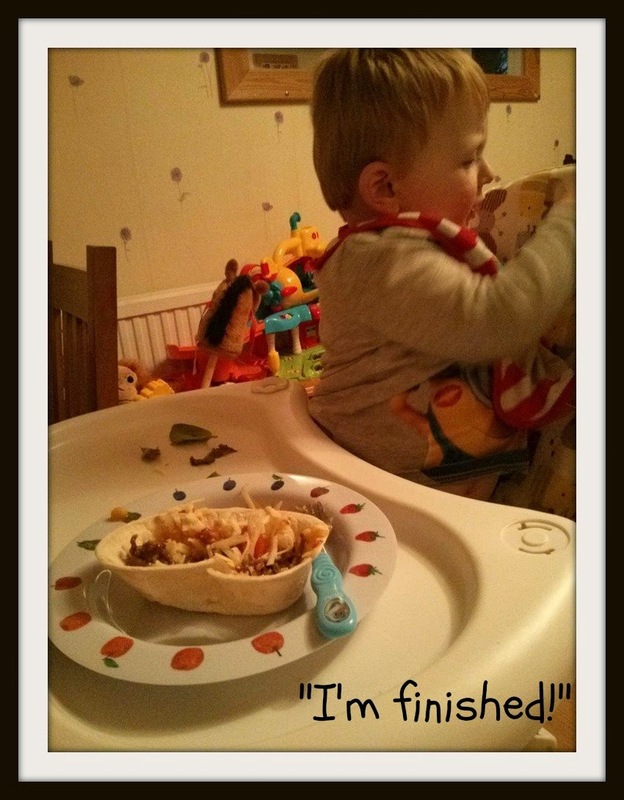 Recently we seem to have entered a phase where mealtimes are a bit of a challenge. Breakfast is ok as long as I rotate the cereral and don't let him get bored of something! He used to love the Bear Alphabites but he had them everyday for a while and in the end he refused point blank to eat breakfast and so I had to switch things up a bit. At the moment we are rotating mini chocolate weetabix and porridge, with the occasional slice of toast. Yoghurts and fruit are a popular choice but he'd eat yoghurts all day long if I let him! Lunchtimes are a bit hit or miss. He won't really eat sandwiches and prefers to just pick the filling out! He doesn't seem to be a big fan of bread unless it's a french stick and then he'll quite happily sit and eat a few slices. Usually I just do a plate with lots of different things so he can pick - things like little sausages, babybels, cherry tomatoes, breadsticks, houmous. Dairylea dippers are also good if all else fails! Teatime is the real challenge at the moment. Occasionally he'll demolish everything on his plate but recently he has been taking one or two bites and then saying "finished! pudding!". One night he didn't even take a bite and just said "no, pudding!". It's so frustrating because its usually food I know he likes, and even more frustrating when I've spent ages in the kitchen making a nice family meal for him to just have a couple of bites! We've had to get a bit tough on him because I don't want him thinking that he can just get a nice pudding without eating his main meal properly. (By pudding I mean a yoghurt or fruit) If he doesn't at least try and eat it we've been saying no to pudding which he has not been too impressed about! The other day I made lovely homemade burgers and sweet potato chips - I couldn't wait to munch it but the only thing he ate was the cheese on top of the burger!! We tried bribery, tried being nice, tried getting stern, tried making him laugh, tried "here comes the aeroplane!" but he would not budge. There were tears (that was just me hah! ), there was a lot of "I want puddddinggggggg!!" and thumping on his tray but we stood our ground and in the end he ended up on the naughty spot until he calmed down. And he still didn't bloody eat a thing!! Needless to say he was really hungry the next morning and then followed one of those rare days where he ate everything we gave him, even sandwiches! Anyone else going through the mealtime meltdown phase?! Yep we are headed through it. And we stopped the high chair so he takes his plate to the bin the opens the fridge for yogurt.... sigh.